The 2018 Dark Ops Pro captures impressive nighttime pictures and videos of wildlife on your property using an industry defining invisible infrared flash that is completely undetectable. The 2018 Dark Ops Pro captures impressive nighttime pictures and videos of wildlife on your property using an industry defining invisible infrared flash that is completely undetectable. 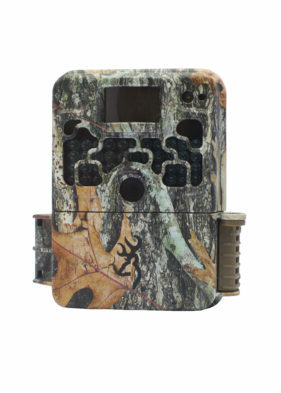 This camera is perfect for animals that are easily spooked, or trespassers that simply don’t belong on your property. 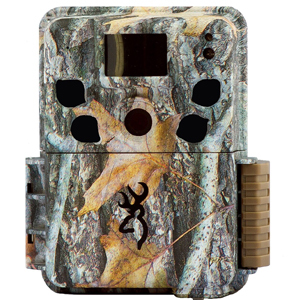 Noteworthy features on this camera include a super convenient 1.5” color screen that makes it easy to set-up the camera as well as review images and videos in the field and an all-steel adjustable bracket for optimum tree mounting. From a performance standpoint, its super quick 0.3 second trigger speeds capture fast moving wildlife and the adjustable IR flash allows users to customize the camera’s nighttime performance. The Dark Ops pro also shoots true 720p HD video with sound and is compatible with SD cards up to 512GB. Adjustable Flash Range Extends up to 80ft.